It’s not easy being the head of the Jacobite Rebellion. Firstly, your nickname is Bonnie. Secondly, you look and sound like a petulant schoolboy. And thirdly, nobody in your war cabinet can agree on what the heck to do, unless it’s unite against you and order a retreat. Well, apart from Jamie, of course. He agrees with whatever Charles says. After all, London’s only five days away. What could possibly go wrong in five days? 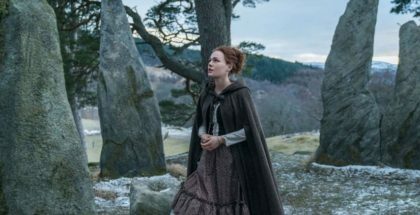 It turns out, quite a lot, as the troops end up retreating into Scotland – only for Claire, inevitably, to find herself surrounded by Redcoats, after they take shelter in a church. Claire tries the same ploy as before: squeal like an English woman held hostage by Scottish savages and hope that the Redcoats have mercy on them all. It works and she and Jamie are separated once again – let it never be said that Outlander isn’t afraid to mine repeated story-lines for tension. 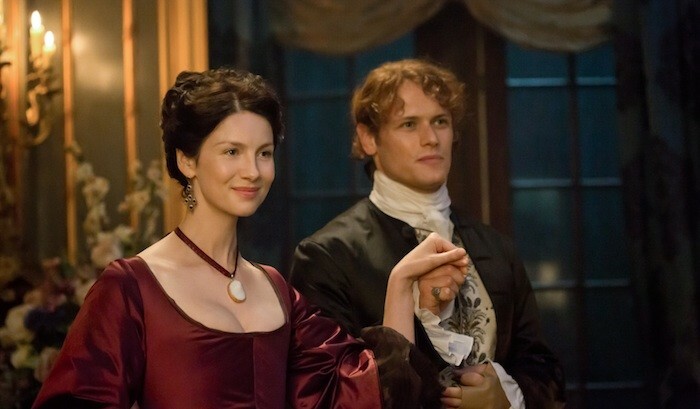 Fortunately, though, rather than dwell on the melodramatic chasm placed between our lovebirds, things are swiftly kicked back into political gear, as Claire is taken by the troops not to a British outpost but to the estate of Belmont, home to everyone’s favourite evil Brit – yes! The Duke of Sandringham. Later, Claire walks in on the Duke without his wig and, unperturbed, he swiftly puts on his Basil Exposition Hat once more and continues to spout plot points at her. Plot points such as the fact that he still has the house surrounded by the English as a trap to capture them all, including her would-be rescuer, Jamie – a move to re-ingratiate Sandringham with the Brits, after they suspect him of being a Jacobite. 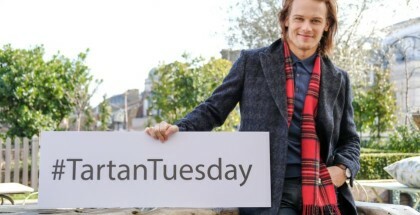 That, at least, explains how Jamie and Murtagh waltz into Sandringham’s estate with little trouble whatsoever – although watching Claire smuggle the message to them via a beggar called Monroe (and a letter in terrible Gaelic) is a fun piece of naff subterfuge. Mary – who, by the way, is also living at Belmont, because why worry about logic when you can have all your supporting characters in one convenient location? – promptly decides to grow a backbone and stab Danton, an act that’s, on the one hand, completely out of character for her, and, on the other, entirely satisfying and jolly right that she should. Just in case the bloodthirsty audience members aren’t satisfied, though, Murtagh (Duncan Lacroix. enjoying himself almost as much as Simon Callow) then steps in and decapitates the Duke and presents his head to Claire and Mary. “I lay my vengeance at your feet,” he says. 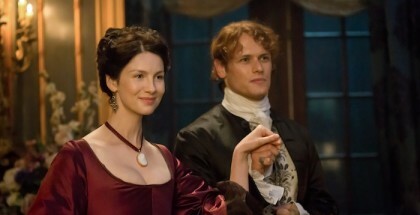 The result is reminiscent somewhat of Outlander’s dip in Season 1 just before its shocking final chapters. 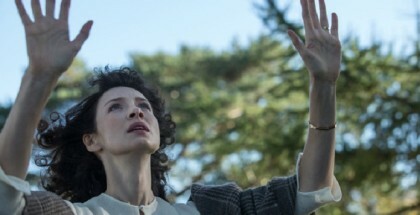 Episode 11 is far from Outlander Season 2’s best moment – with only two episodes left in the season, you wonder when we’re going to get anything more to do with Culloden, Black Jack or the glimpse we had of Claire and Jamie’s child in the future – but Vengeance Is Mine ties up some necessary loose ends and, if nothing else, serves as graphic reminder that if you can get an ending right, it’s surprisingly easy to forgive everything that’s gone before. Outlander Season 2 is available to watch in the UK exclusively on Amazon Prime Video, as part of a £5.99 monthly subscription. 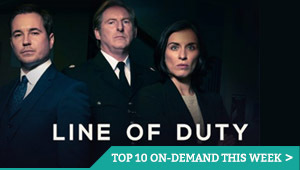 New episodes arrive every Sunday, within 24 hours of their US broadcast.